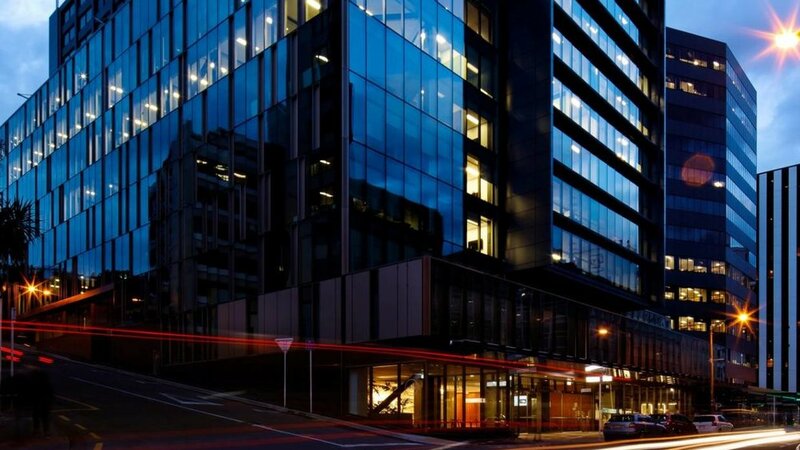 Congratulations to building owners, Kiwi Property as the Aurora Centre in Wellington has joined an exclusive club - it's one of the most energy-smart commercial buildings in New Zealand and one of only two other buildings in the country have a 5.5 NABERSNZ energy efficiency rating. S&T Engineering is proud to have helped Kiwi Property obtain this achievement having completed the design of building services as well as the base building which includes the common areas, the air-conditioning and small power loads of the tenant. S&T’s design included new services for mechanical, electrical, lighting, data provision and engaged fire protection services. Extensive thermal modelling of the building informed the design team of the appropriate glazing type and where existing glazing should be removed. The project had very limited ceiling space available for building services and required a very high level of co-ordination which was made possible with the extensive use of 3D Revit Modelling. The building predominately operates as office space, with three retail spaces on the ground floor and a new reception area. It was seismically strengthened to 90% of the New Building Standard.